Eid-ul-Adha is a time when we often invite friends and family for Eid dinners. 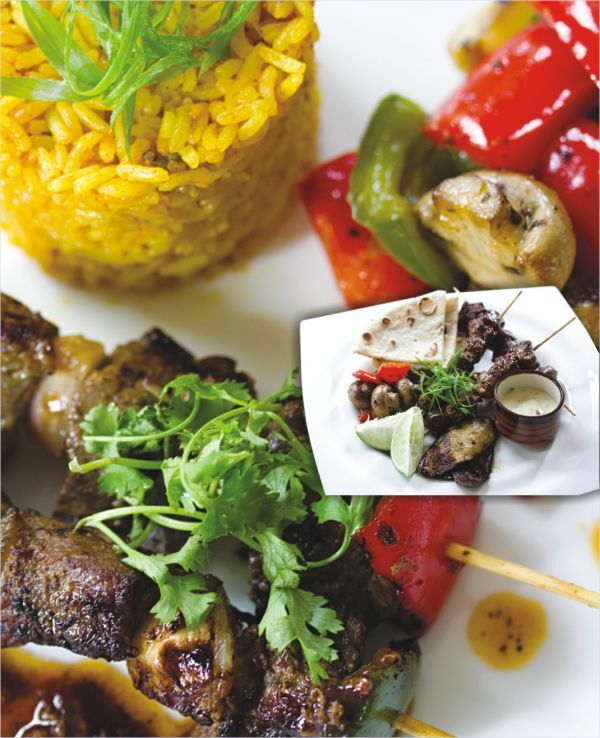 Here are a few grill and kebab recipes you can try this Eid with your Qurbani meat. Souvlaki is a popular Greek fast food. It usually has small pieces of meat and sometimes vegetables grilled on a skewer. This is a lamb recipe but you can also make it with beef or chicken or even fish. Put the lamb into a large bowl or strong food bag. Add the olive oil, stock, oregano, lemon zest and juice, garlic and black pepper -- don't add salt yet. Mix together so that all the lamb is completely coated, then chill and marinate for at least a few hours or overnight. Lift the chunks of lamb out of the marinade and thread onto 10 metal skewers, or wooden ones that have been soaked. Heat a grill, barbecue or griddle pan if you want to eat them straight away. Season the meat with salt and then cook the skewers for 10-12 minutes, turning, until cooked to your liking. Serve with warm flatbreads with salad and drizzle with garlic sauce or yoghurt. This is an easy way to prepare delicious, sticky beef ribs on your grill. 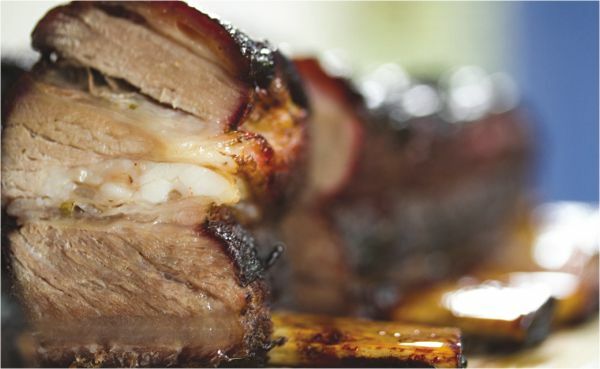 You will need to rotate the ribs occasionally to evenly cook them. Trim excess fat from beef ribs. Combine salt, pepper and cayenne. Rub over the ribs. Preheat grill and prepare for grilling with a drip pan. Place ribs on grill over drip pan and close the lid or cover with foil. Cook for about 3 hours over a medium low heat. Try to keep the temperature under 120 degrees Celsius. To prepare sauce combine onion, honey, ketchup, chilli peppers, garlic and mustard in a sauce pan. Heat over a low temperature, stirring until even and warm. When the ribs are nearly finished begin brushing the sauce on them until you get a thick coating. Lamb chops or the rack of lamb is an easy cut to explain to our 'deshi' butchers. These are the ribs and you get only about 6 to 10 ribs per goat or lamb. Place the lamb chops into a roasting pan, and season evenly with the garlic, garlic powder, chili powder, sugar, salt, and pepper. Drizzle with 1 tablespoon of lime juice, soy sauce and olive oil. Cover and refrigerate overnight. Preheat the oven to 400 degrees F (200 degrees C). Allow the lamb to stand at room temperature while the oven preheats. Roast uncovered in the preheated oven to your desired degree of doneness, about 20 minutes for medium, or 30 minutes for well done. Garnish with a sprinkle of cilantro and squeeze lemon juice over the top before serving. This kebab recipe uses chunks of beef tenderloin and plenty of assorted vegetables, all marinated in a vibrant mixture of ingredients. You can also use the top round rather than using the tenderloin. Fresh button mushrooms which are grown locally are also available these days in shops like Dhali and Nandan and are quite cheap compared to the imported ones. Whisk together all marinade ingredients in a large bowl. Remove half of marinade to a smaller bowl so meat and vegetables can be marinated separately. Place meat in smaller bowl, letting it remain for 30 minutes at room temperature. Marinate vegetables in larger bowl for 30 minutes at room temperature. Turn meat and vegetables several times while they are marinating to coat all sides. Cut tenderloin into 1-inch square cubes. Quarter onion and separate curved sections so they can be placed on skewer and wrapped loosely around the next item on skewer. Chop capsicums into 4 sections and cut each section, shaping pieces so they are approximately an inch square and can easily fit onto skewer. If a large whole tomato is used instead of cherry tomatoes, cut whole tomato into 8 wedges. Begin to assemble kebab, alternating meat, onion, pepper, mushroom, and tomato, leaving a small amount of space between each item. Leave the mushrooms whole, inserting skewer into the base of mushroom and through the top. Select firm parts of tomato for inserting skewer so it stays positioned on skewer as the kebabs cook on the grill. Preheat grill on medium heat. When ready to grill, place the skewers on the grill grate, keeping each skewer 1 to 2 inches away from the next skewer. Allow the kebabs to cook for several minutes on each side, gently brushing remaining marinade on the kebabs and turning them 2 to 3 times to cook all surfaces. A spice is a dried seed, fruit, root, bark, or vegetative substance primarily used for flavouring, colouring or preserving food. Sometimes a spice is used to hide other flavours. The word spice comes from the Old French word 'espice'. By 1000 B.C., medical systems based upon herbs could be found in China, Korea, and India. Early uses were connected with magic, medicine, religion, tradition, and preservation. Archaeologists estimate that from as far back as 50,000 B.C. humans had used the special qualities of aromatic plants to help flavour their food. The primitive man would have utilised the sweet-smelling spices in order to make their food taste better. He would have offered all sorts of aromatic herbs to his primitive gods. He would have used the spices to heal himself while he was ill. From that moment on, spices played an important role in human existence. Spices were among the most demanded and expensive products available in Europe in the Middle Ages, the most common being black pepper, cinnamon, nutmeg, ginger and cloves. Given the medieval medicine's main theory of humorous, spices and herbs were indispensable to balance "humours" in food, a daily basis for good health at a time of recurrent pandemics. This week's column deals with how we can arrange a small space for our spices in the kitchen. No South Asian kitchen is complete without the right assortment of spices, but those small containers seem to mysteriously disappear into kitchen counters. The right storage plan will not only keep spices organised and easy to find but will also keep your favourite flavours fresh. The sleek design hides a multitude of storage with an abundance of drawers and lift-up cabinet doors providing easy access to utensils, crockery and groceries. As you decide the ideal spot in your kitchen to house herbs and spices, consider these important guidelines for keeping them flavourful. Make sure they're kept in airtight containers and stored away from direct sunlight, moisture and heat, which accelerate the loss of flavour and aroma. Save the freezer for your ice cream, it won't extend the life of oft-used dried spices. Ideally, spices and herbs should be stored in an area no warmer than 68 degrees with less than 60 percent relative humidity. The best preservation technique may be the most obvious -- simply secure the lid after each use. 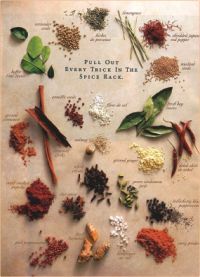 Armed with this information, you can set up the perfect sliver of space for your spice collection. Create a shallow shelf between wall studs, a niche near the work spaces in a drawer or resting them on risers in the cupboard is a simple way to make these cooking must-haves easier to use and store. To keep up with the demands of entertaining, the modern kitchen was designed to accommodate two types of burners, sink and microwaves to allow more than one person to prepare and cook in the room at all times without interfering with one another. Aside from these modern gadgets, we need spices and spice holders for whichever type of cuisine we want to cook. A stainless steel spice rack, some equal sized glass containers or some traditional handmade ceramic vessels in a nicely attached small rack can add more decorative flair to a nook near a stove.